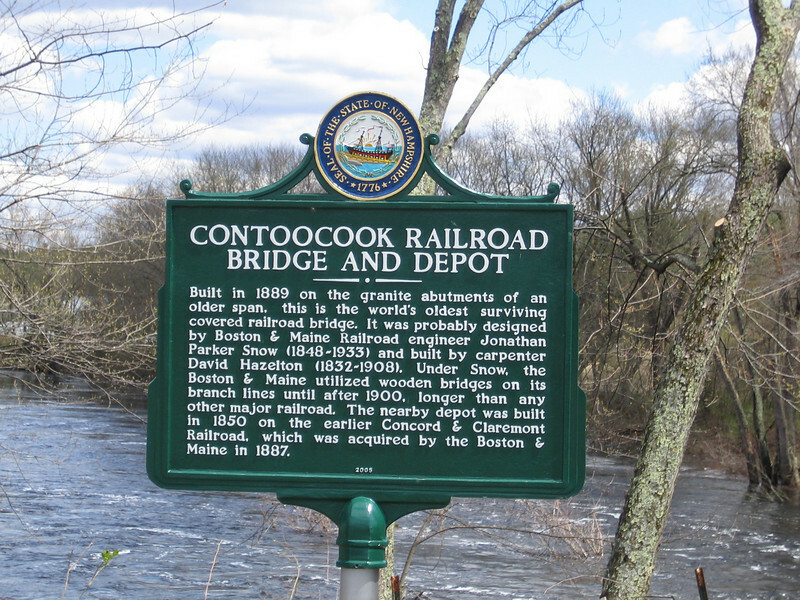 This bridge, disputably the oldest covered bridge in the United States, was built in 1850 for the Concord and Claremont Railroad, connecting lonely Contoocook with the larger New Hampshire towns such as Concord. A “day of great festivity” was held upon the opening of this bridge, with the rousing sounds of impassioned speeches, lively bands, and cannon thunder. The bridge was partly destroyed by flooding two separate times in the 1930’s, and was eventually used as a warehouse from 1962-1990. In 1990 it was placed in the National Register of Historic Places, and the bridge was fully restored with help from a $119,200 TE grant and local match of $29,800 in 2005.